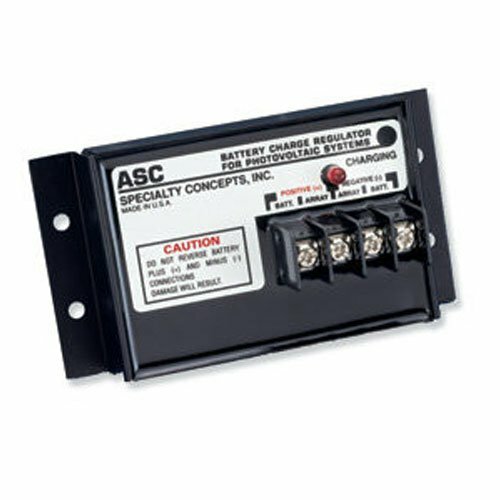 A charge controller is an invaluable protective device that protects your solar batteries from overcharging. As a result, it will prolong the life of the batteries, save you the money and the hassle to replace those heavy deep cycle lead-acid batteries. Trust me, it's no fun to carry a 60+ pounds battery around. Choosing the right charge controller for your battery is essential in bringing the best performance from your off-grid PV system. There are different types of charge controllers, with each designed to suit a particular solar power system. When shopping most people get lost in the technical details and are not certain about the type of unit they should go for, hence end up purchasing a misfit. 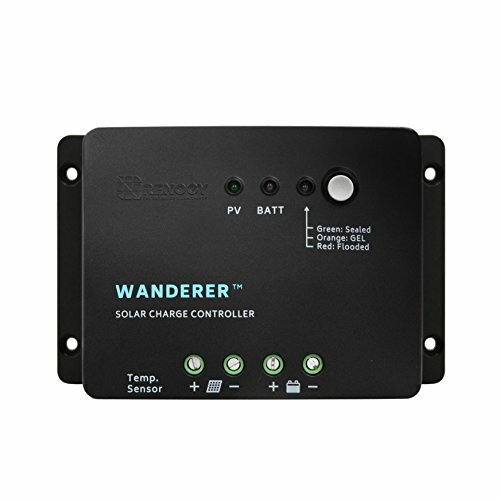 ​Do you need a Solar Charge Controller? ​PWM vs MPPT - Which Charge Controller is Better ? ​What is a Solar Charge Controller? It prevents battery overcharge- when the battery's charge is very low, the unit allows any amount of energy to flow in. However, after a certain voltage is achieved, it starts regulating the amount of energy the battery receives. It blocks reverse current- usually current flows from high voltage areas to low. Hence at night, since the solar panels have low voltage, power tends to flow back and out of the battery. A solar charge controller is able to prevent this. Load control- It controls the amount of load received from a D.C. current by automatically turning it off or on depending on the needs of the battery. Depending on the type, a charge controller may also perform extra functions such as diverting excess energy to heaters and automatically turning light on and off - depending on the time of day. First things first, let's ensure you are at the right place by analyzing whether you need a solar charge controller or not. Do you use an off -the- grid solar power plan? Does your solar power system use batteries? Does your battery put out more than 2 watts for every 50 battery Amp hours? If it is a Yes to all the above questions, then most likely you need to have a solar charge controller. It will prevent your battery from overcharging by automatically regulating the amount of power flowing in and out of it, which means optimum performance and longer battery life. Without it, you risk getting your battery damaged. ​Note: You do not require a charge controller if your solar power system interacts with a mains power supply, in this case, excess energy will automatically be re-routed to the mains power system. Charge controllers come in many types, with different ranges of cost and capability. There are three main types of solar charge controllers. Let's look at each of them now. ​As their name suggest, these are easy to work with. They are designed to allow a maximum amount of current to flow in through a blocking diode and automatically switch on once an upper threshold voltage is reached, thus preventing the battery from getting further charged. If the battery's charge falls below a lower threshold voltage they automatically switch off to allow current in. Until full charge, the controller will regulate the array of current flowing in. ​Simple controls are the predecessors of modern day charge controllers which explains their fewer components. Now, they are not so commonly used due to their limited functions. Nevertheless, the reason they are still around can be attributed to their reliability and affordability. Additionally, they are suitable for wireless applications where electrical noise should be minimal. These are standard type of controllers designed to minimize the amount of current flowing into the battery, as it nears its set maximum charge point. When the battery is full, the controller utilizes the ' trickle effect' by only allowing small amounts of current in so as to keep the battery topped up. If solar energy supply is constant, PWM charge controllers can indefinitely maintain the battery's charge full. To use this type of controller your battery(s) and solar panel(s) must have the same voltage. For instance, a 12V battery is required to hook up to a 12V PWM charge controller. Usually most homes which depend on solar energy to power the whole structure may not benefit from this type of controller as the battery and panel voltage are not typically the same. Hence the controller is considered most suitable for smaller solar systems using low voltages. ​​They are the most recent, expensive and sophisticated type of charge controllers which can be used to pair batteries and panels with different voltages. These controllers regulate the current flowing into the batteries by allowing much higher voltage into the wires from the solar panels. It can convert 10%-30% more energy into Amperage comparing to PWM type. ​It also prevents reverse flow of energy from the batteries back to the panel when solar energy supply ceases, thus enabling the solar power system to operate optimally at all times. 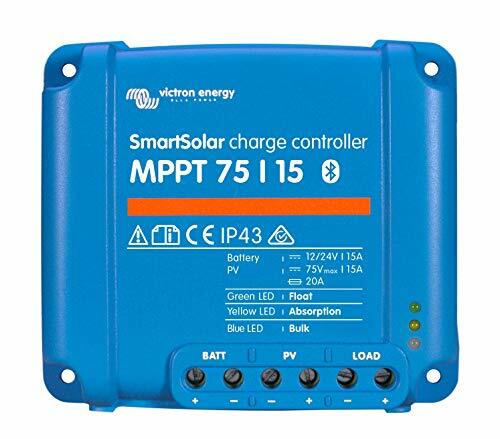 ​Furthermore, MPPT charge controller generally reduces the time required to charge solar batteries. They are especially applicable if you are using higher voltage panels to charge lower voltage batteries. Comparing the above three kind of charge controllers, PWM and MPPT remain the most commonly used. They are considered more technologically advanced and with more useful additional features. If wondering which one to go for between the two, below is a clear contrast, highlighting the Pros and Cons of each of them. ​PWM vs MPPT - Which Charge Controller is Better? ​Multiple solar modules can be wired in series to boost the output voltage. ​Permit array voltages higher than battery voltages. Able to harvest solar energy below 45°C or above 75°C. ​Optimize the match between panels and battery voltages. ​Easy to install and set up​, great for DIY. More durable, most have passive heat sink cooling. ​Performance is limited by battery voltage. ​It can create interference with radios. ​Not efficient at cold temperatures. 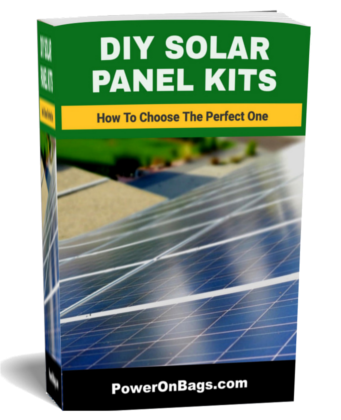 ​Multiple solar modules have to wired in parallel to maintain 12V to the controller. ​Cannot be used if the panel and battery’s voltages are different. ​We recommend to use PWM charge controllers when you have a smaller PV systems, MPPT charge controllers are more suitable for larger arrays unless you have a deeper pocket. If for example, you need a solar energy system to power up your whole home, i.e. for lighting, cooking and heating purposes then an MPPT charge controller would be more ideal. Same case would apply if you want to power up an office structure. MPPT charge controllers can comfortably handle higher current and utilize it effectively. They also come in handy when future plans involve acquiring more solar panels. ​However, if you only need solar power for a smaller PV system such as charging handheld devices, and lighting a single or few rooms, then a PWM charge controller is recommended. Are you budget conscious and your energy needs are not really high? Then going for a PWM would be more sensible since MPPT charge controllers tend to be costly. Usually, different manufacturers offer different prices and the more features a charge controller has, the more you are likely to spend on it. Temperature does influence the efficiency of charge controllers. PWM performs best in warm environments since they are designed to operate at battery voltage. Whereas, MPPT work best in cold environments and when the battery is low, since they can operate above battery voltage. It all depends on the size and sophistication of a charge controller. If you are not able to install it by yourself then you will have to hire an expert which means extra costs. Due to their complex nature, MPPT controllers may give you a hard time during installation compared to PWM. Ensure to check a charge controllers warranty before obtaining it so as to ensure if anything goes wrong, you have the option to take it back or have it freely repaired. 1 year or more is considered ideal. During purchase, find out the terms and conditions governing your warranty to avoid violating them. Remember your safety should always go first. Some people consider solar energy lesser compared to mains electricity power supply, hence do consider it as life threatening - it actually is! Reportedly there have been several accidents in the past resulting from solar power. To avoid this, if you are not sure about how to handle the technical details involving a charge controller, seek professional services. Indeed, it is an overwhelming task to choose technology with which you are not familiar, especially when there are a wide range of brands available on the market. Lucky for you, you are now equipped with the information that you need to choose the best solar charge controller for your solar power system. If you are in a hurry, you can find some of the best charge controllers we recommended from here. Remember, your solar panel, battery, and energy needs play a big role in determining which type of charge controller will work best for you. Check the manufacturer’s manual to get the technical details of your solar power system and use the above information to match it to the most ideal charge controller. The right model for you is the one that meets your budget and energy needs. If you’ve found this guide useful, please share this article with your friends and let us know in the comments below or leave a comment on our social pages. John is a digital marketer and grant writer. He is passionate advocates of telecommuting and the RV lifestyle. With 10+ years of living and traveling full-time in an RV with no end in sight, John is truly an RV Lifestyle Expert. 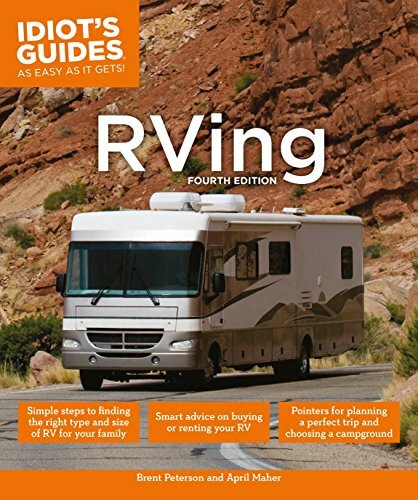 His goal is to help others become more powerful by providing basic information on enhancing your RV lifestyle with Solar Power. How many kWh does a solar panel produce? Some recommended products may use affiliate links. SolarMonsters.com is a participant in the Amazon Services LLC Associates Program, an affiliate advertising program designed to provide a means for sites to earn advertising fees by advertising and linking to Amazon.com. Amazon and the Amazon logo are trademarks of Amazon.com, Inc or its affiliates. Copyright © 2019 SolarMonsters.com | All Rights Reserved. No part of this site may be reproduced without our written permission.